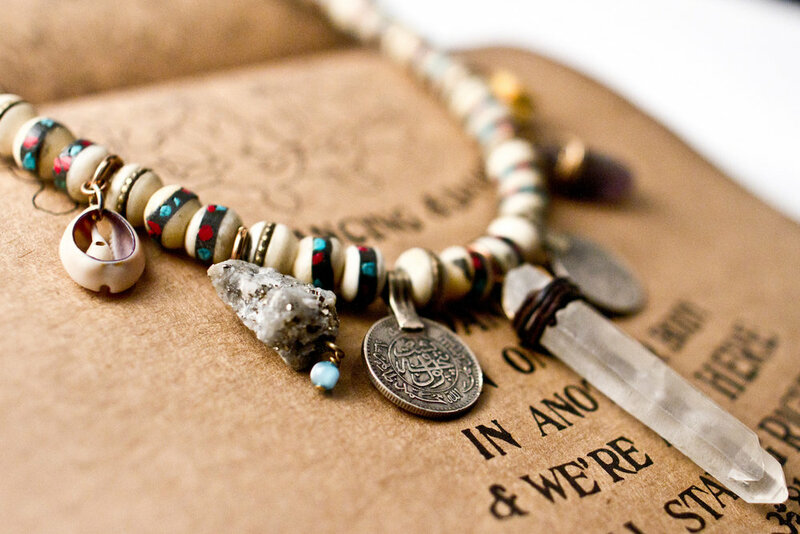 Consciously made with hand selected precious stones, antique and imported bobbles and charms, upcycle vintage pieces and a channeled high vibrational essence, “I” move out of the way and let the universal creative life force pour through each piece. 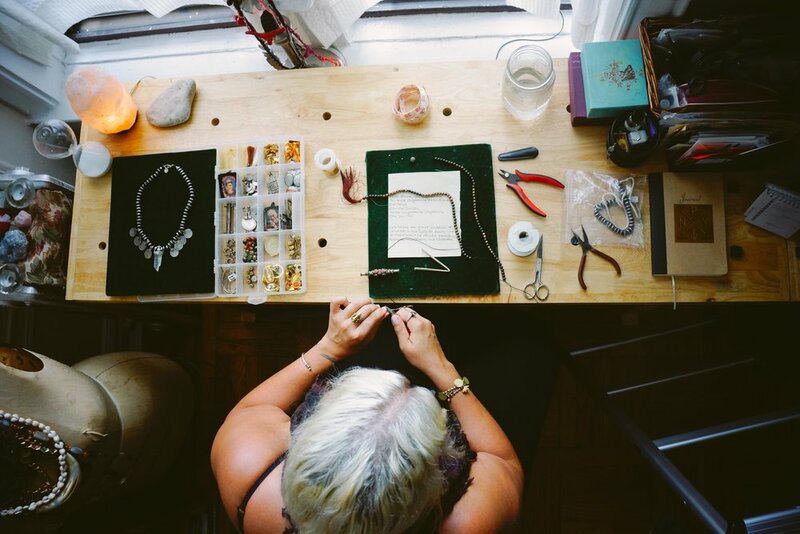 Through this process the jewelry has a way of making itself perfect for the person who selects it both as an investment and as an expression of themselves; much like purchasing a piece of art. 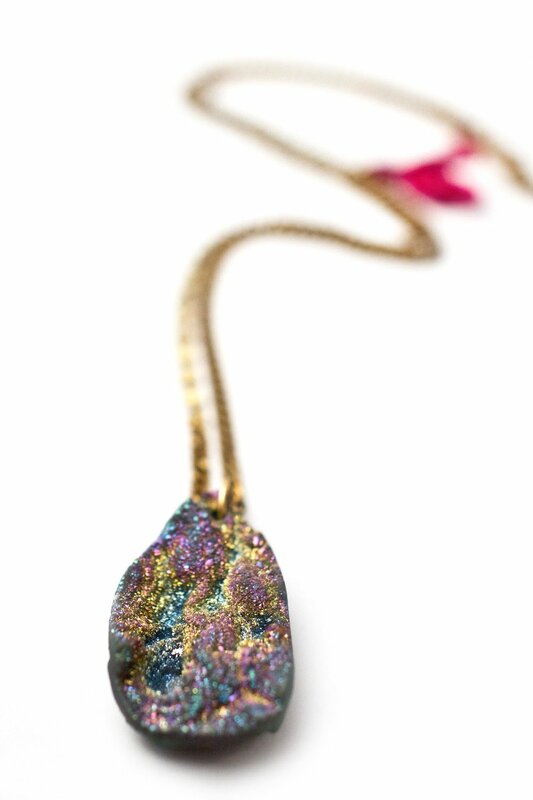 Fennimas is known to invoke a sense of nostalgia by drawing inspiration from things like mother nature, exotic cultures and disco shine. 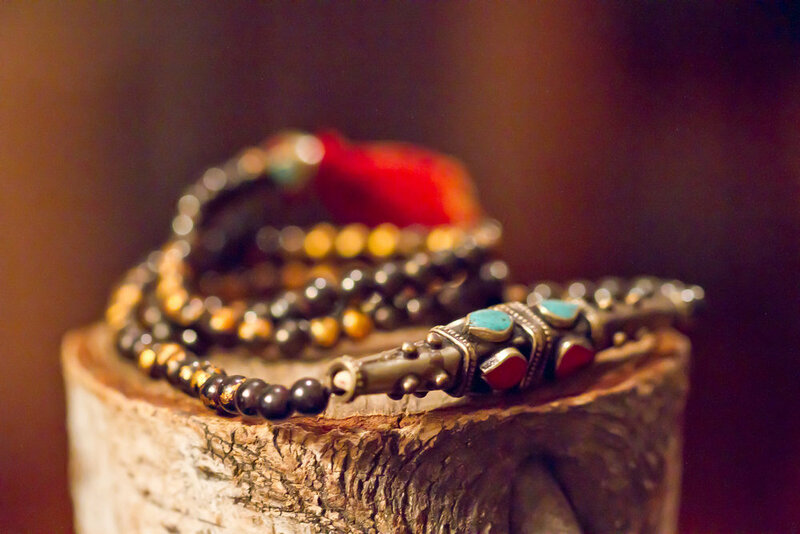 The collections are seasonless, all unisex, with a focus on custom designs including necklaces, earrings, bracelets, rings and head pieces. 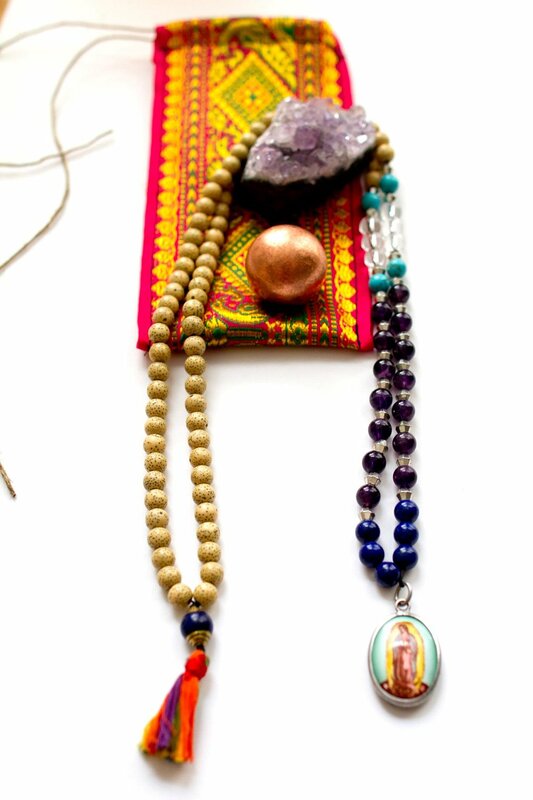 Jewelry with attention to color, shape and quality the pieces incorporate surprises like: hand made ribbon, wire and thread wrapping, beading and macramé. 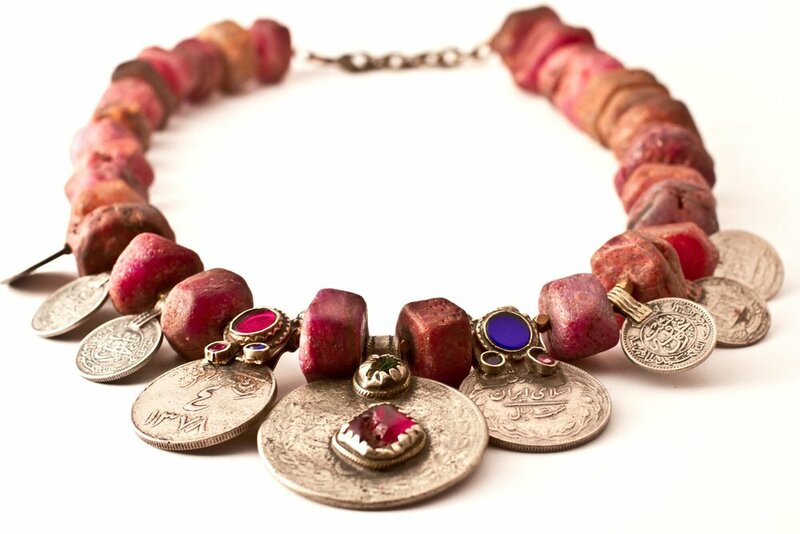 Inspired by the vibrant colors and flavors of South Asia and Africa. 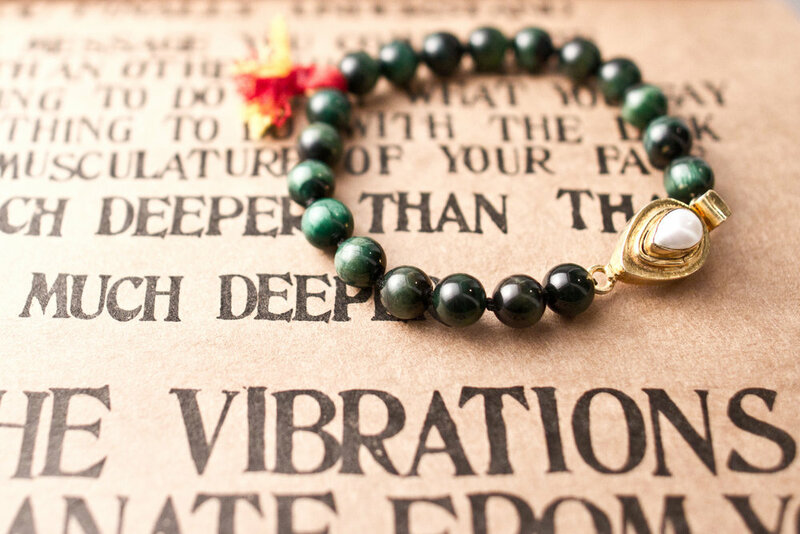 It is made at the vibration of joy and intended to bring that out in the wearer. 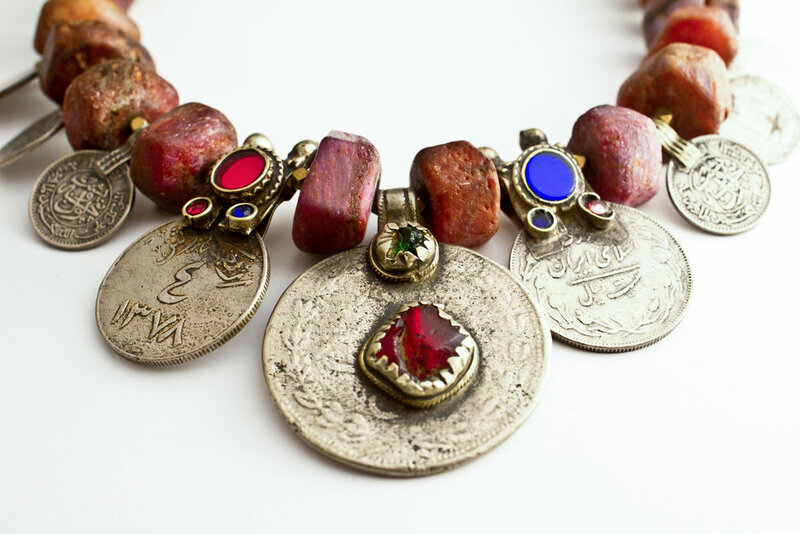 With a color palette or spices it reflects the richness of life in these cultures; incorporating many imported materials from India, Nepal, Afghanistan, Turkey, Egypt, Ghana, Nigeria and Ethiopia. 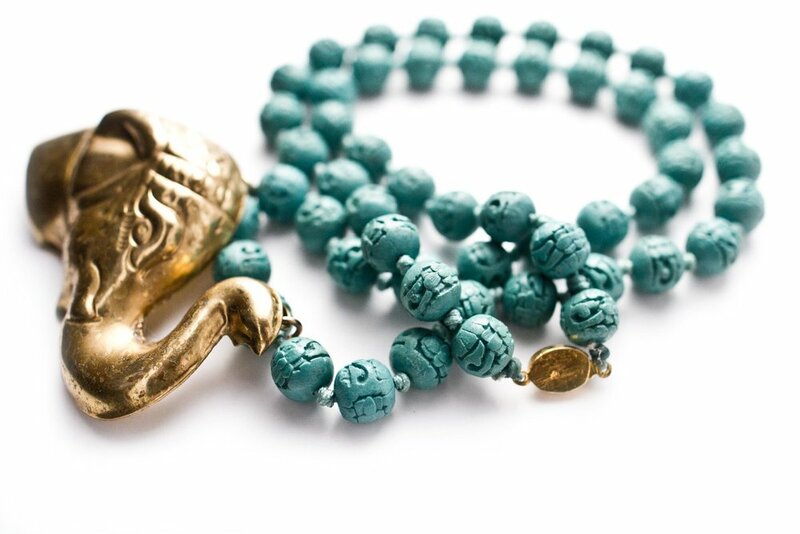 A common detail in this collection is the use of puja thread, to represent the blessing and miracle of waking up each day a new. 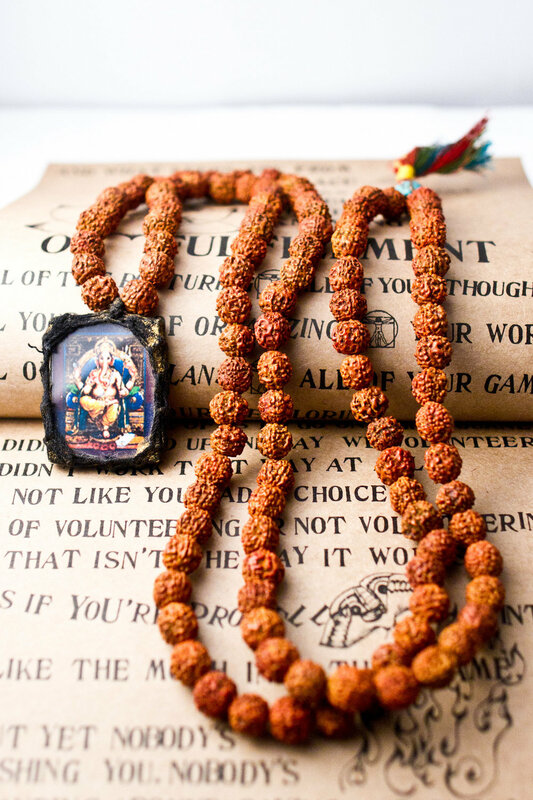 Made to help the wearer channel their higher soul and divine purpose in life. 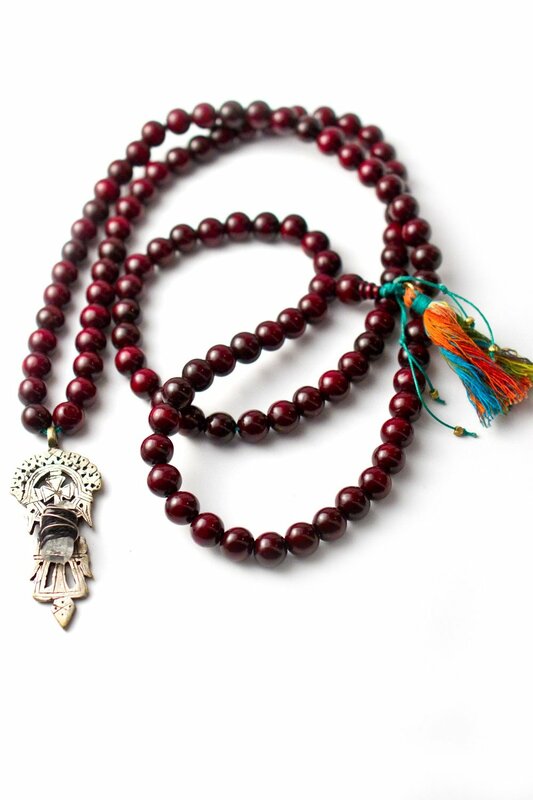 This collection incorporates malas, rosaries, and talisman necklaces and bracelets. 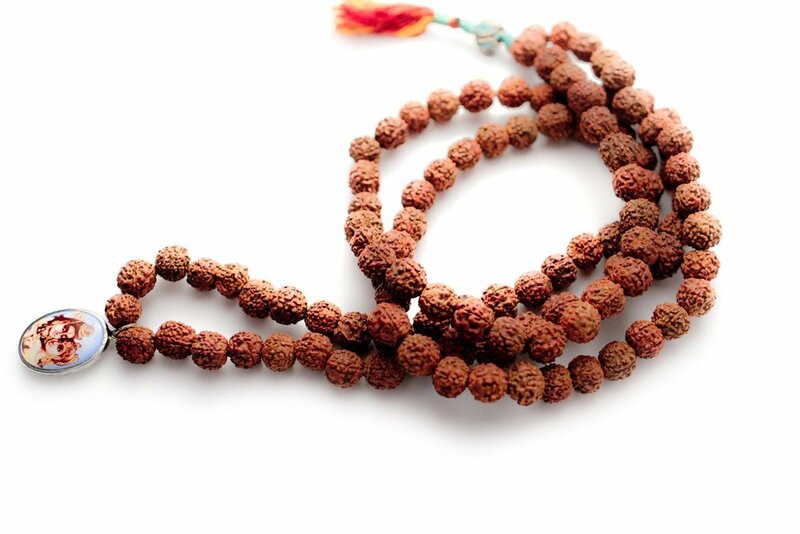 They are both functional for prayer/mantra japa and infused with high vibrational divine energy to serve the owner in different functions, for example: protection, surrender, healing, etc…and initiate the flow of divine nectar or amrita. These are customizable to aid with whatever desired.